Be the first to share your favorite memory, photo or story of Therese . This memorial page is dedicated for family, friends and future generations to celebrate the life of their loved one. 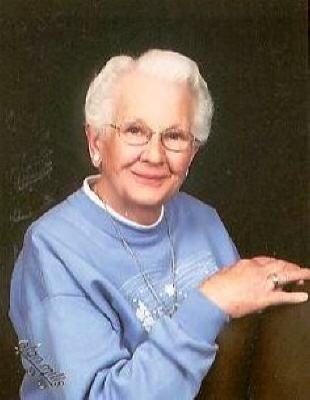 Therese M. Carr (nee Klink) age 92, of Hartford, Wisconsin passed away peacefully surrounded by her family on April 14, 2019 at Wellington Place in Hartford. Therese was born on May 9, 1926 to Quirin and Anna (nee Roethle) Klink in Rubicon. She was united in marriage to Wilbur O’Donnell Carr on January 4, 1947 at St. John’s Catholic Church, Rubicon. Wilbur O’Donnell preceded her in death on October 29, 1950. A deeply religious person, Therese spent many hours making rosaries and would not miss saying the rosary on the local radio broadcast. Therese enjoyed spending time with her family and visiting her brothers and sisters. Therese is survived by her loving children James Carr, and Carol (Stephen) Gehring. Grandchildren, Angy (Chris) Steiner, Shane (Kim) Carr, Amy (Steve) Muras, Koreen (Matt) Genrich, Stephen (Amy) Gehring, Kristin Neu, Michael (Emily) Gehring, Andrea (Ben) Nelson. Great- grandchildren, Cyle (Jenna) Scherger, Joshua (girlfriend Jenna) Scherger, Aleya (Allen) Feutz, Aleisha Muras, Emmett Carr, Hailey and Amber Creegan, Wyatt, Austin, Cody, and Callie Gehring, Kaitlin, Kelsey, and Owen Neu, Sheridan and Weston Nelson. Great- great grandchildren, Kinsley and Everly Feutz, and Logan Scherger. Her siblings, Dorothy (Joseph) Becker, Father Anthony Klink, and Joan Dais. Her Sisters-in-law, Mary Klink, Monica Klink, and Marianne Carr. She is further survived by nieces, nephews, other relatives and friends. She is preceded in death by her parents, husband Wilbur O’Donnell Carr (Don), daughter in law Barbara (James) Carr. Great Grandchild Claire Lynn Gehring. Sisters, Marie Klink, Ann (Edgar) Wolf, and Rosemary (Glen) Grinwald. Brothers, Quirin Klink, Jerome (Betty) Klink, Joseph (Florence) Klink, Clarence Klink and Kenneth (Joan) Klink. Sisters-in-law, Ruth (nee Hetzel) Klink. Alma Carr, Hilda Reynolds, Jean Waege, Patricia Palmer, and Betty (Eugene) Willette. Brothers-in-law, Gordon Kircher, Edgar Wolf and Cecil, Sherman and Raymond Carr. Mass of Christian Burial for Therese will be celebrated on Monday, April 22, 2019 at 6:00 p.m. at St. Kilian Catholic Church (264 W. State Street Hartford, WI 53027) with Fr. David LaPlante officiating. Family will greet relatives and friends at the church on Monday from 3:00 – 5:45 p.m. Private interment in St. John Catholic Cemetery in Rubicon, WI. The family would like to thank family and friends who provided comfort and joy in her declining years. Also, to the nurses and staff at Wellington Place and to Seasons Hospice for their loving care of Therese. To send flowers or a remembrance gift to the family of Therese M. Carr, please visit our Tribute Store. "Email Address" would like to share the life celebration of Therese M. Carr. Click on the "link" to go to share a favorite memory or leave a condolence message for the family.